For Slater Hospitality Services, the dream comes full circle with its crown jewel at The Roof at Ponce City Market. Here’s how the biz made its plans to turn the old tower into a hospitality haven. 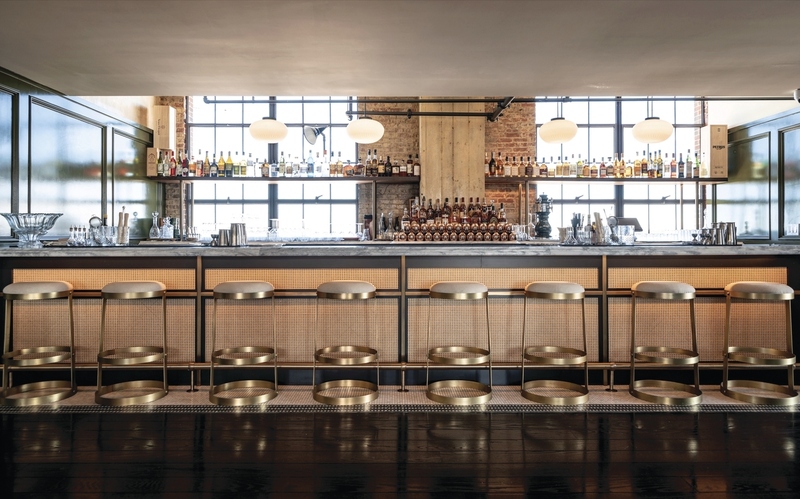 Find this swanky bar setup on the 12th floor of Ponce City Market’s new RFD Social. The first floor of the tower, dubbed The Parlour (that’s the 10th floor), is open to The Roof amusement-seekers and offers a cocktail den aimed at complementing the other rooftop activities. From there, the 11th floor—the Roebuck Room, named after Ponce City Market’s former life as the Sears, Roebuck and Company distribution center for the Southeast—holds an event space. But the real reason to come to the tower is the elusive 12th floor.